Today I have another layout to share using Echo Park's Bundle of Joy Baby Girl collection designed by Alisha Gordon! One of my favorite images from the collecion is this darling lamb so when I saw the shape pop up in the Silhouette store I knew I needed to have it (you can find it here). I thought it would be fun to cut it out from white flocked paper so I switched to an old blade on my Silhouette, clicked the box to cut the image twice (just for extra measure) and cut it out. It's hard to see the extra fluffiness here, but I love the extra touch it adds. To finish off my layout I used Loni Stevens' Sweet Dream cutting file for my title and a border sticker along the bottom that came with the collection pack. Mendi this layout is gorgeous! I love that little lamb too, so stinkin cute! you really have a great eye for design my firend...love this! This is just darling. I love the colors and that little lamb makes me swoon!!! Love it! 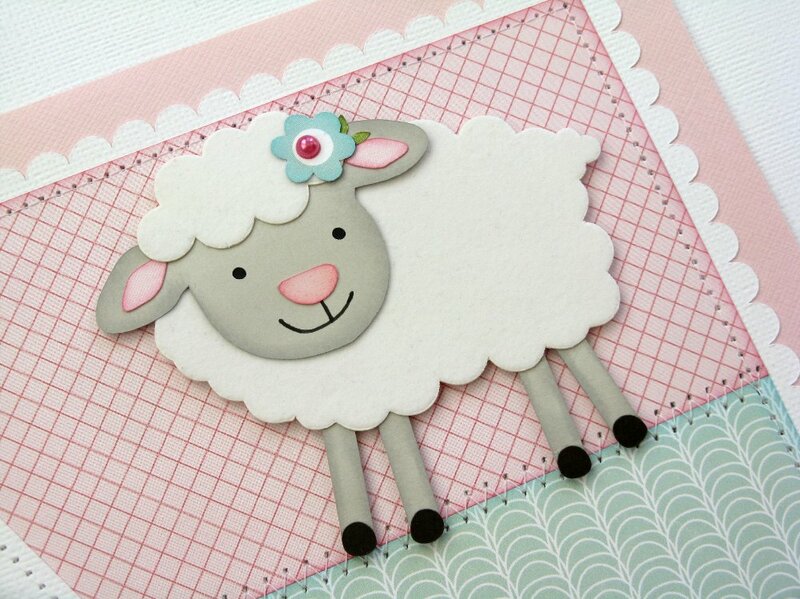 This is just precious...and that lamb along with your patterned paper selection is just perfect!